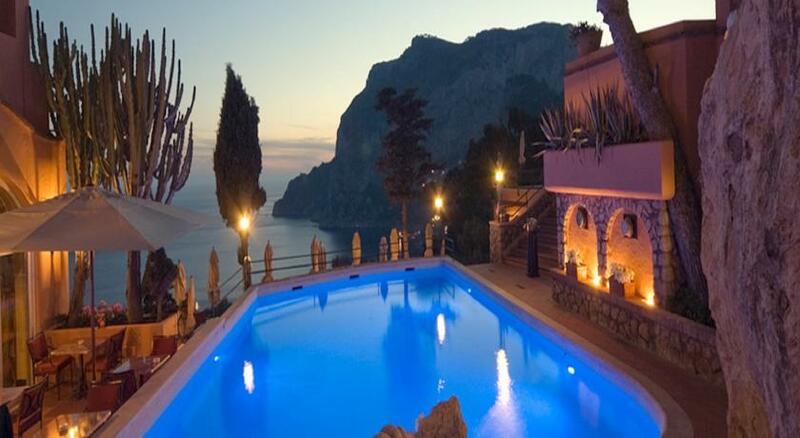 Hotel Punta Tragara offers a unique place and daring design, sculpted out of the rock face, where no two rooms are the same and where nature reigns supreme in a natural setting where space has created a stronghold of incomparable beauty where emotions constantly surprise and delight. 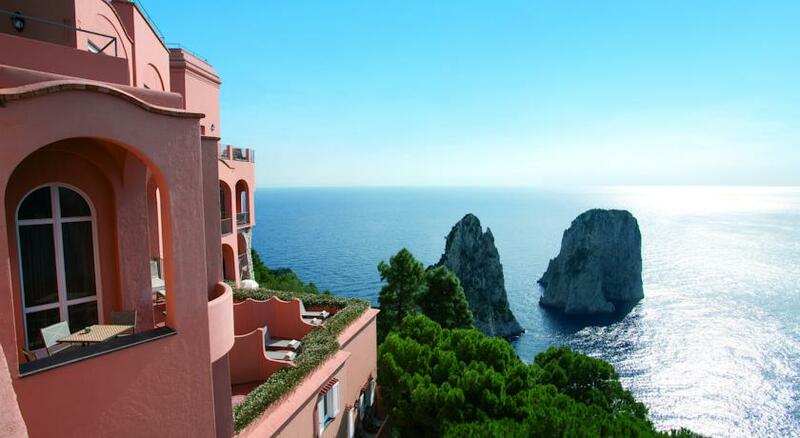 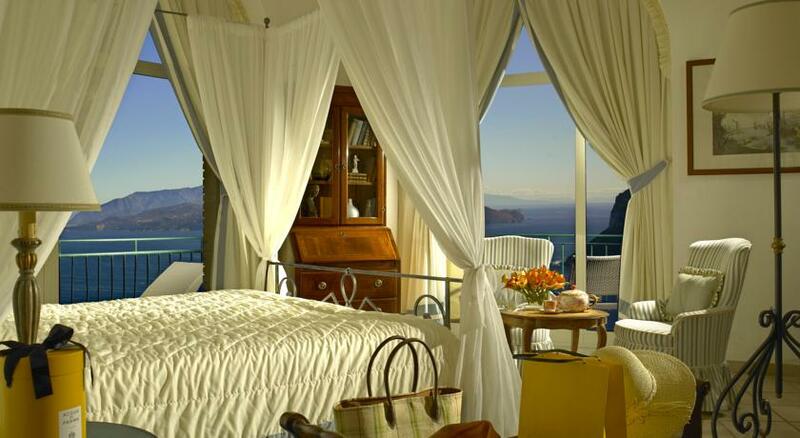 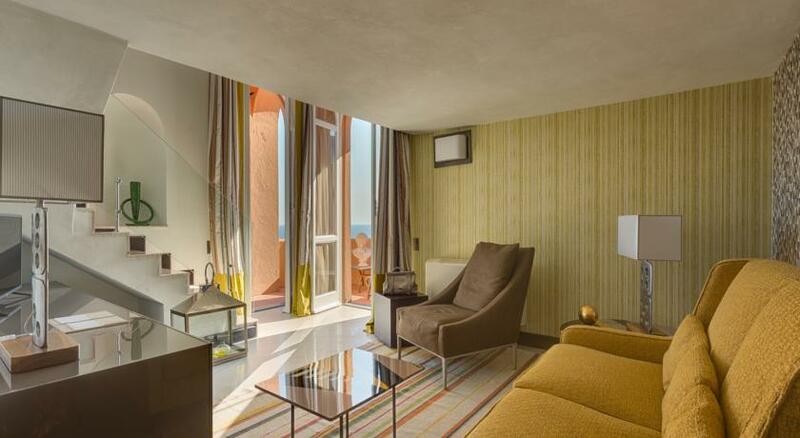 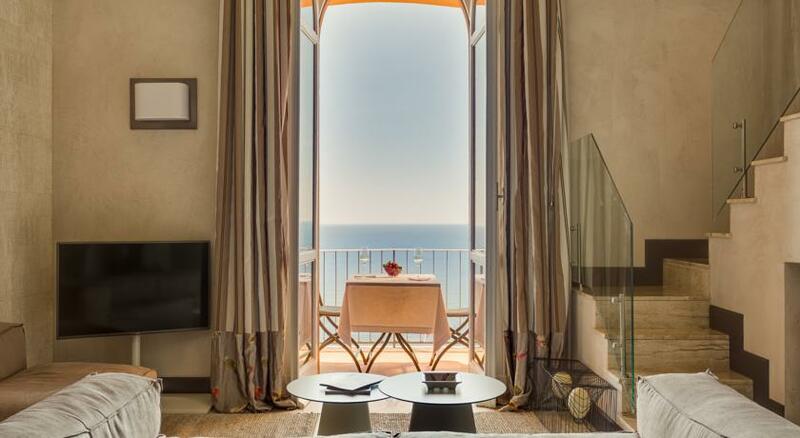 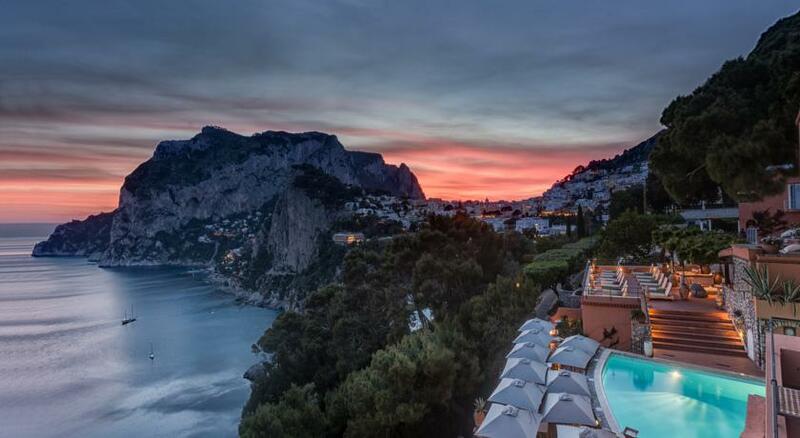 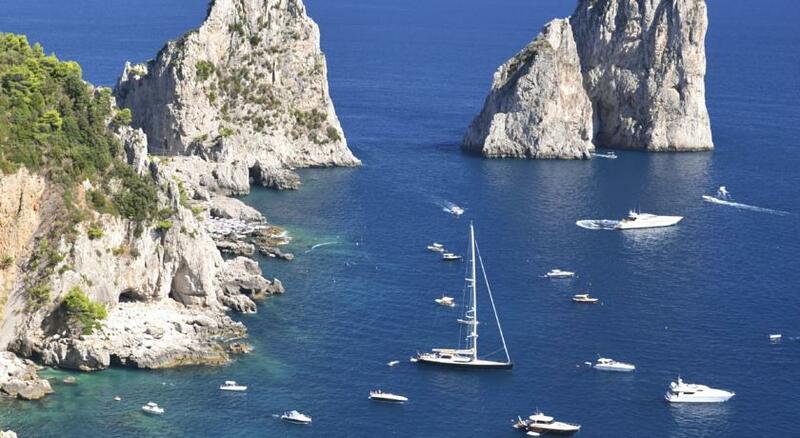 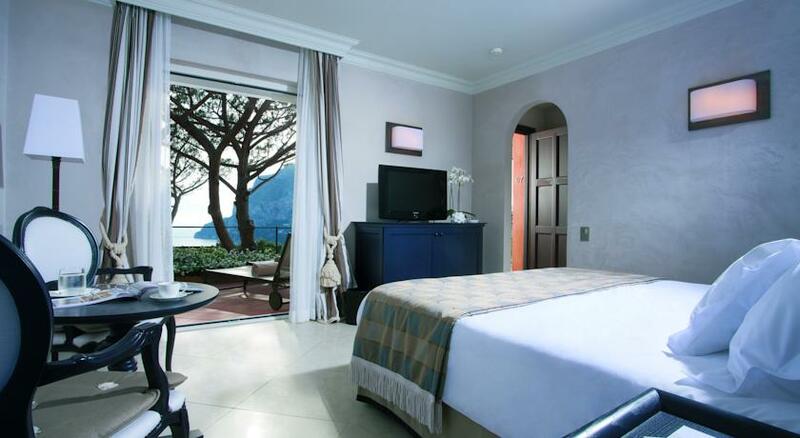 Hotel Punta Tragara has a panoramic location on the coast of Capri with exceptional views across Marina Piccola Bay. 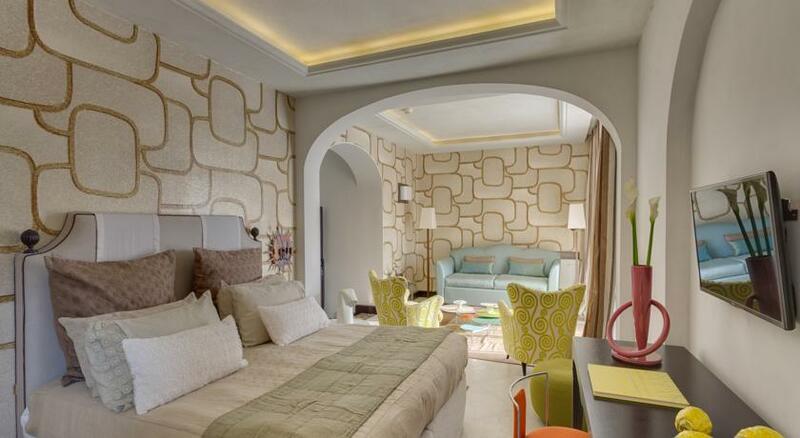 Each guest room at this luxury, 5-star hotel is modern and spacious, and features a unique design and free wired internet. 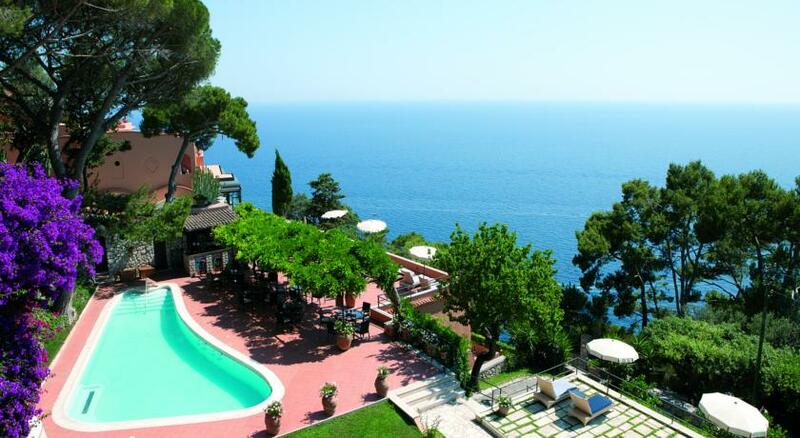 It features a modern spa and 2 outdoor swimming pools. 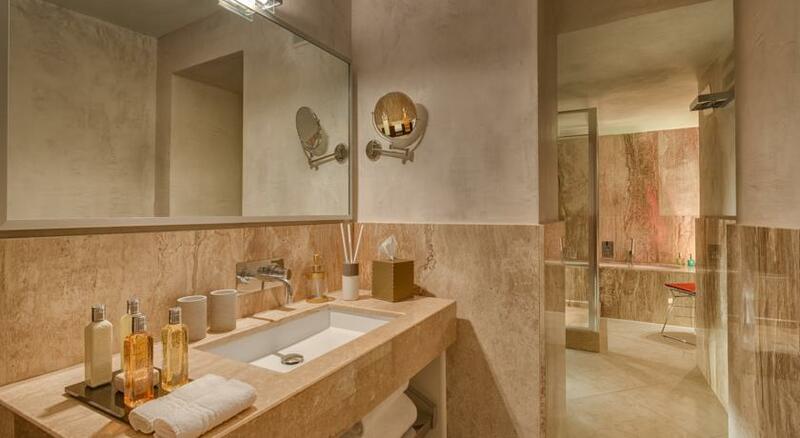 The spa offers a wide variety of massages, and wellness packages with exclusive sea salt and algae products. 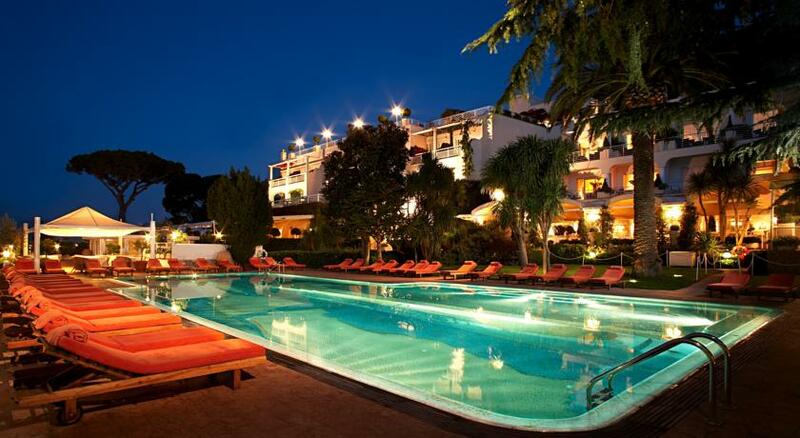 One of the outdoor pools is heated and has jets for thalasso treatments. 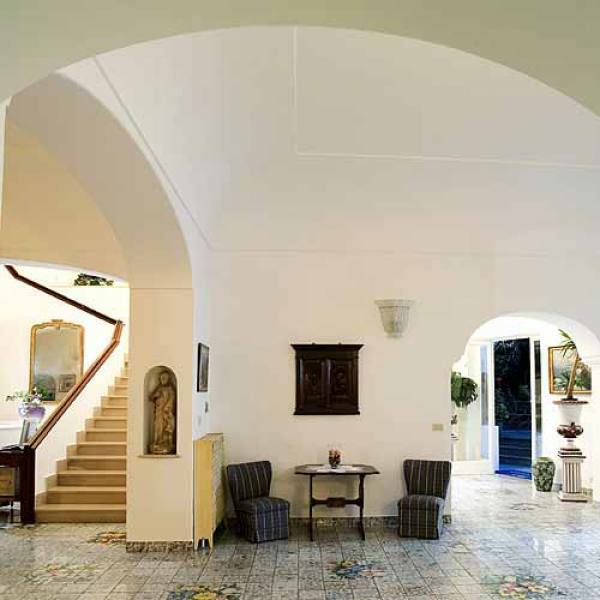 Punta Tragara is just as extraordinary for its elegant, natural, contemporary cuisine. 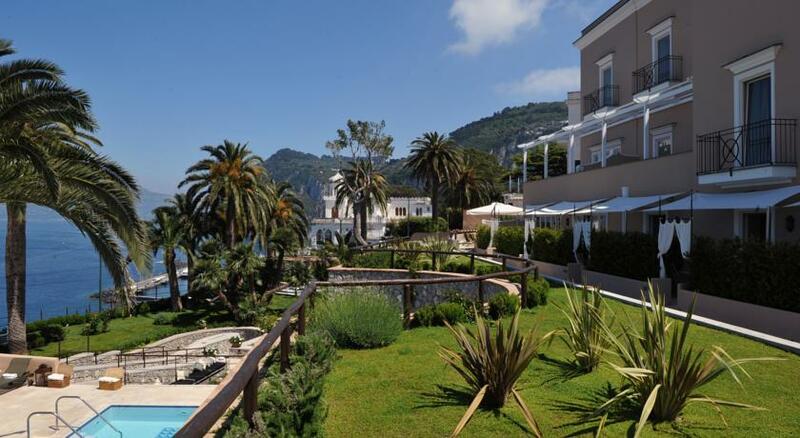 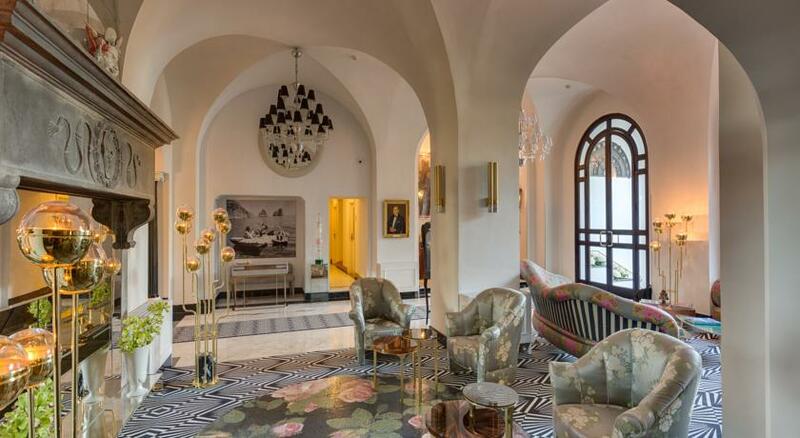 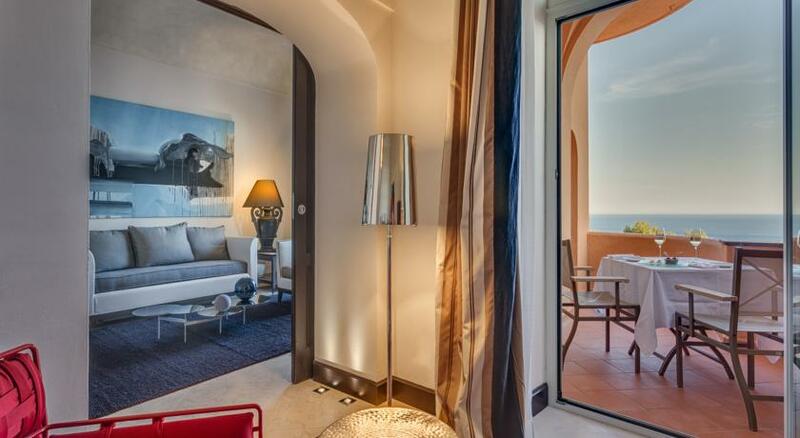 From a breakfast of haute patisserie to lunch overlooking the Faraglioni rocks; in the evenings, chance location and dine surrounded by the lights of the Gulf of Naples, just steps away from Capri’s historic Piazzetta. 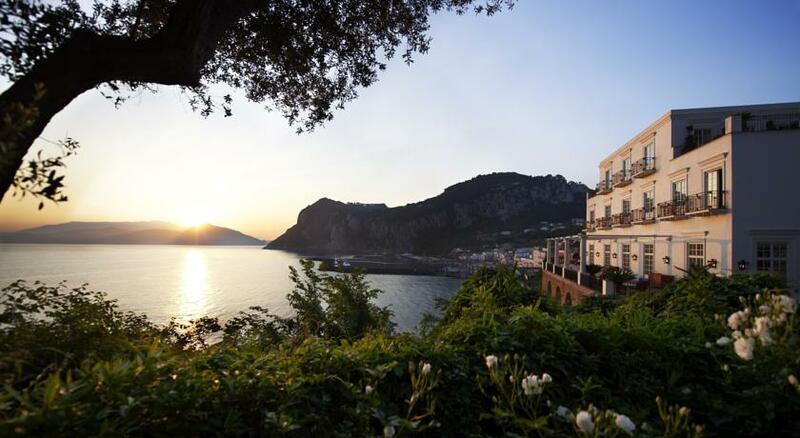 They have two restaurants, Monzù and Mammà, offering the world-renowned traditions of Naples.